Reflex and VFX (London) have joined forces to offer the South African market the best in motion control equipment and expertise. 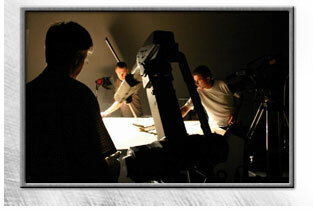 VFX has a long tradition of providing quality motion control and effects work on major productions including 4 Harry Potter features, 2 Bond movies and numerous commercial works. The MILO rig has been flown to Cape Town, and will be based there for the 2008/2009 season. The advantage the collaboration between our company and VFX brings to the SA market is significantly reduced costs (freight and travel costs are now out of the picture) plus a local support crew to ensure everything runs smoothly. The principal operator is still flown from London ensuring the best skills are available for your shoot. Contact Peter on 083 274 1675 or email us on mail@moco.co.za for further information. - Reflex Moco exhibits at the first GO SEE FILM expo in Cape Town. - Reflex Moco used to accurately match camera moves for a Pamper's nappy commercial for the EU. - Reflex Moco adds a motion controlled turntable to its equipment list. - Reflex Moco recently used the Motoman 7 rig to accurately draw "ZEN" patterns in sand and match these to stock images for a South African TV commercial. 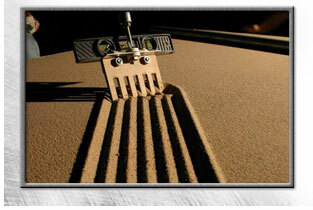 When raking the sand the depth and speed of the rake is critical in making the patterns consistent. 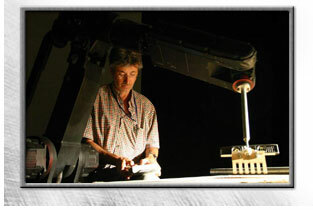 The accurate control of the Motoman rig made it quick and easy to produce the right shots. here it is used to accurately and repeatedly do zen gardens for an upcoming tv commercial.